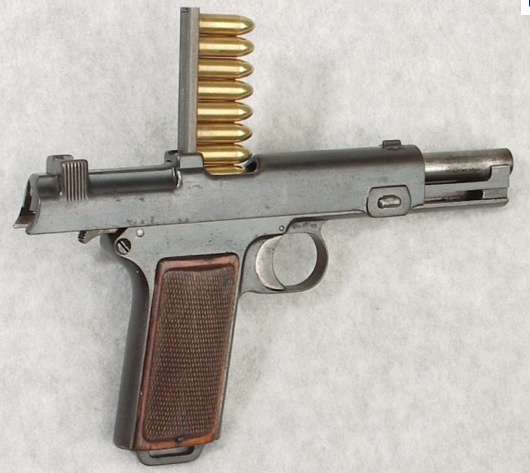 Steyr M1912, standard sidearm of the Austro-Hungarian Army. 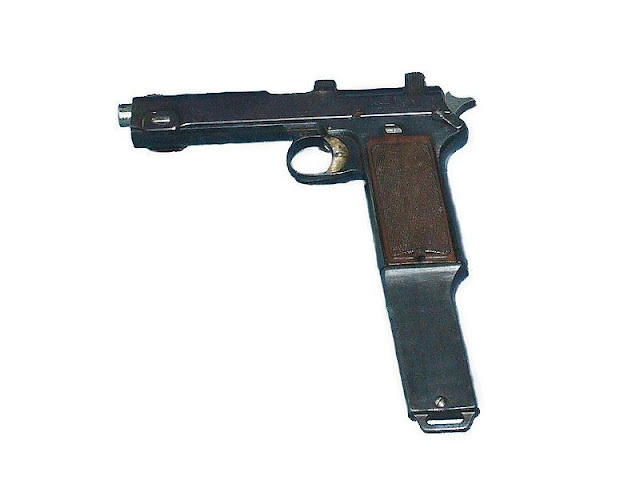 The Steyr Model 1911 / Model 1912 pistol is recoil operated weapon. 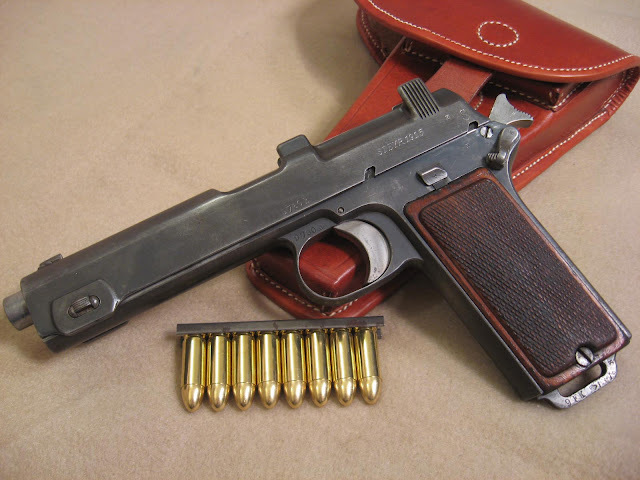 Steyr Model 1911 / Model 1912 pistols use integral, non-detachable single stack magazines in the grip, which are loaded from stripper clips through the loading / ejection window on the top of the slide. It was designed in around 1910, and entered production in 1911.